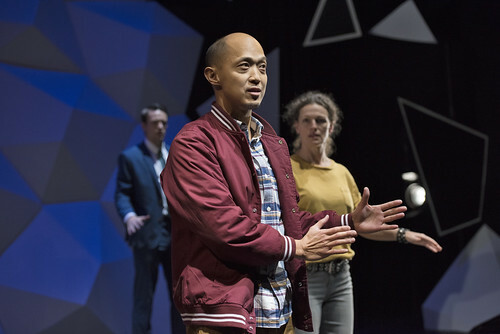 In November 2016, Pi Theatre produced the world premiere of Peter Dickinson's new performance script, Long Division, at Gateway Theatre in Richmond. Long Division is a multimedia, physical theatre piece about the mathematics of human connection. Peter worked directly with Pi to see how his work could be translated from the page to the stage. The show was produced in association with Gateway Theatre. Long Division focuses on seven characters linked - sometimes directly, sometimes more obliquely - by a sequence of tragic events. These characters offer lessons on number theory, geometry and logic, while revealing aspects of their inner lives, and collectively the nature of their relationships to one another. Long Division ran from November 17 - 26, 2016.